July: Study trip to Giant Sequoia forest in Humboldt California. Johannes Høie, Tom S. Kosmo, Danny Larsen, Harald Lien, Sverre Malling, Gry Hege Rinaldo and Tanja Thorjussen. Parabiosis, meaning "living beside", is a technical term in various contexts in fields of study related to ecology and physiology. It accordingly has been defined independently in at least three disciplines, namely experimental or medical physiology, the ecology of inactive physiological states, and the ecology of certain classes of social species that share nests. Booklaunch of my book "Crepuscular" CoSA Artist Books at Pavilion of Bosnia and Herzegovina at the 57 La Biennale Di Venezia. CoSA – Concerning the Spiritual in Art by LATERNA and LOCUS. CoSA IV Hill of the Muses, Athens. Photo by Fili Olsefski. LOCUS (Thale Fastvold and Tanja Thorjussen) collaborated with LATERNA (Marianne Skjeldal and Inger-Reidun Olsen) on the project "CoSA - Concerning The Spiritual in Art"
In 2017 the project traveled to Athens in Greece during Documenta 14 opening week and to Monte Verita Museum Center in April, to Kvalsund in June, the Museum of Avant Garde in St.Petersburg in October and to Hammerfest in November. Merete Joulsen Aune, Stefano Cagol, Anna Daniell, Thale Fastvold, Katarina Skår Lisa, Margrethe Pettersen, Tanja Thorjussen and Daniel Slåttnes & Sara Rönnbäck (duo). We thank Kulturrådet and Fond for lyd og bilde for the generous funding of this project! Collaborators: The Norwegian Institute at Athens, Dancefestival Barents, Museum of Avant Garde St.Petersburg, Monte Verita Museum Center, Kvalsund Municipality. 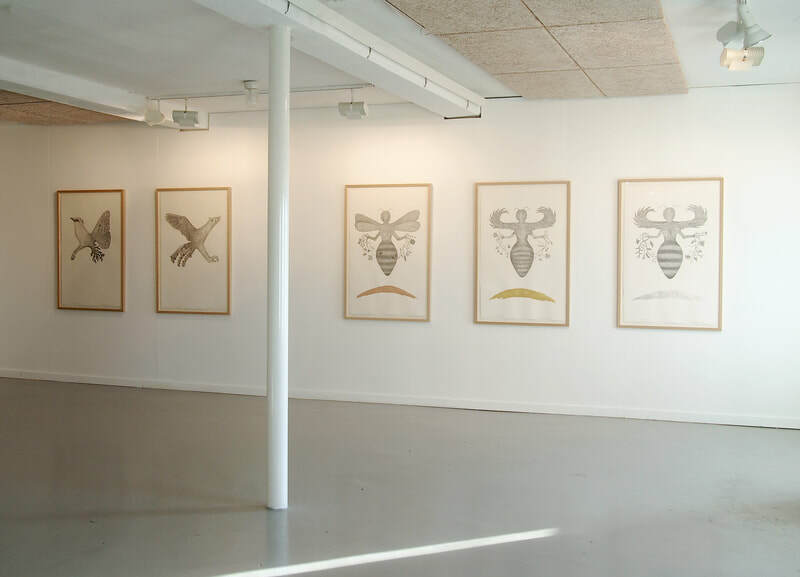 Arctic Hysteria explore the northern region through contemporary art. The artists involved in the project has created new work by doing extensive research in the region with residencies and study-trips. The exhibition will tour in 2016-18 and the publication Arctic Hysteria - Collected Stories and Research through Contemporary Art was launched at NYABF at MoMA PS1 in 2016. Arctic Hysteria exhibition at Visningsrommet USF in April 2017. 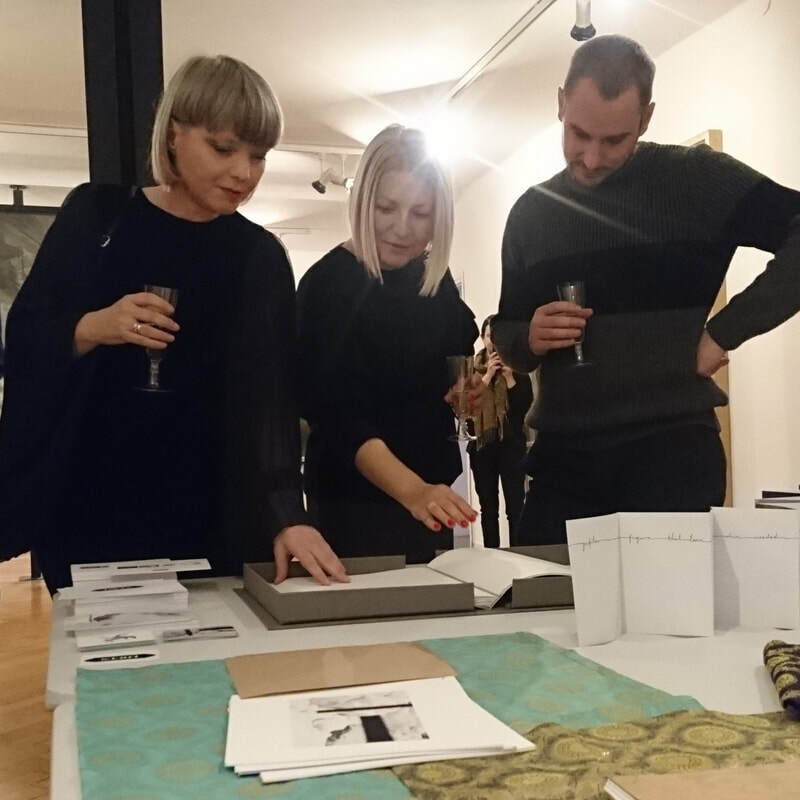 From left, showing work by Amelia Beavis-Harrison, Thale Fastvold and Tanja Thorjussen.